Expedia has some outstanding Merida packages ready and waiting for you. Combining your airfares and accommodations is one of the easiest ways to save money on your upcoming adventure. Would you like to earn savings up to C$590*? Purchase your group's package deal on Expedia now! You can delay your travel plans with us because we don't charge cancellation fees for almost all of our reservations. We have all the latest sightseeing tips for your impending trip to Merida. Grab your travel organizer and prepare to start filling up your itinerary. Frequented for worship and spiritual reflection, Merida Cathedral is a significant religious landmark. That being said, you need not be the church-going type to check out this calming space. There's a wonderful range of things to do in this destination. Even on a wet day, it's well worth taking a stroll through Hidalgo Park. Put up your umbrella and breathe in the fresh earthy smell. Still got time to spare? Pick a comfortable vantage point and watch the people bustling by at Plaza Grande. If you feel sociable, this enduring square is also a fantastic spot to rub shoulders with some locals. The world is packed with adventure, and there are plenty of wonderful experiences to be had when we grab our bags and go on vacation. For a comprehensive guide to activities, check out the Merida things to do page. Wind up your day of fun adventures with a nice comfy bed and a fluffy pillow. 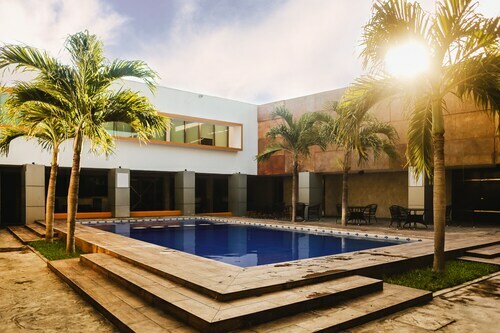 Peruse the 79 accommodations in Merida on offer via Expedia and choose one for your luxury getaway or cheap vacation. 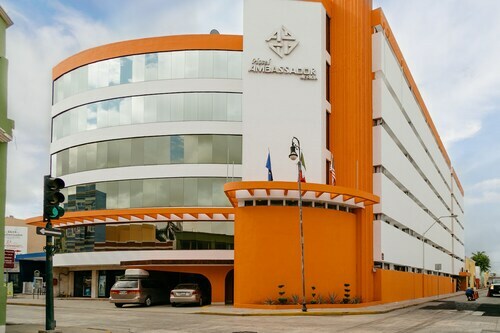 Room service, king-size beds and fine furnishings are just some of the things you can expect to find waiting for you at the Mansión Mérida on the Park (C. 59 # 498 por 58 y 60 Col Centro) and the Hotel Casa Azul (Calle 60, 343, Centro). Book a room now for a taste of the high life! If you don't fancy spending such big bucks, why not base yourself somewhere more affordable? Have a look at the Art Apart Hostel (Calle 60 No. 456A x 53 y 51) or the Hostal La Ermita (CALLE 77 # 528A X 68 Y 70). Nothing's more satisfying than coming in to land at Manuel Crescencio Rejon International Airport (MID) after sitting down in a cramped cabin for hours. 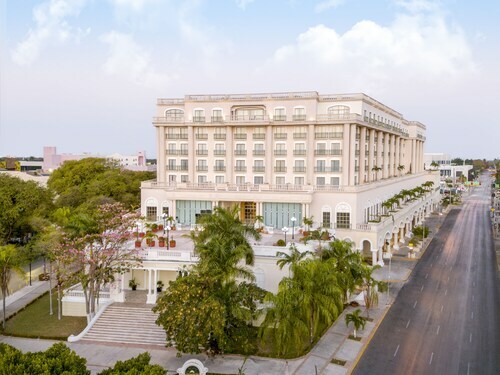 After you've claimed your bags from the carousel and stretched your limbs, you'll find yourself just 3 miles (5 km) from the bustling main streets of Merida. Very good location. 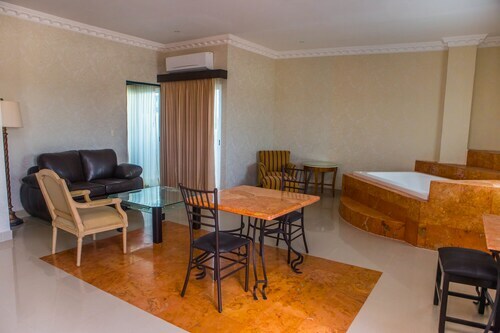 Hotel is nice and clean. . Staff and people there very nice and make you fell welcome. Only complaint: the information from Concierge regarding the excursions was not clear and we ended up paying more than we planned for. Was in Merida for a wedding. Not typically the type of hotel I would stay in (like boutique style more) but the shuttles for the wedding were from this hotel so it made sense. The room was nice and clean and it was in a great location. The pool was great too ! Comfort of bedding. Beautifully appointed bathroom. Stunning lobby. Good service and in a good area. To visit and by staff. Wed., 4 Dec. - Sun., 8 Dec. Sun., 9 Feb. - Sat., 15 Feb.
Flights from Windsor ON to Stanfield Intl. Flights from Windsor ON to Calgary Intl.